When we first got to Tokyo, we went into Lawson conbini (convenience store) to buy some melon pan. 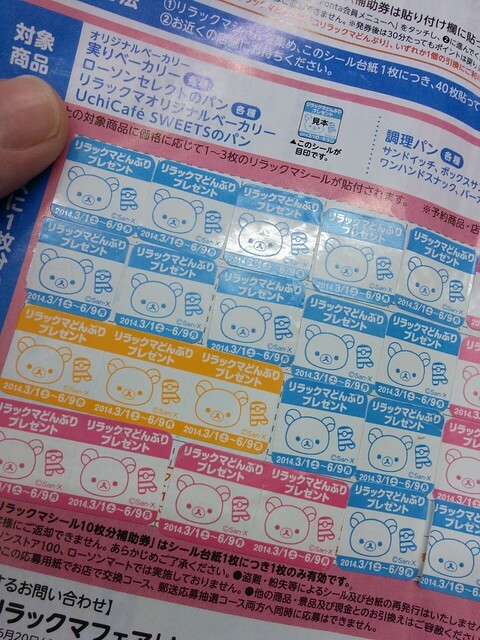 On the melon pan there was a Rilakuma sticker and then we saw Rilakuma bowls in the shop with the sticker sheets next to it, it was pretty obvious that you had to collect the stickers off different types of cakes. This is a pretty common thing in Japanese conbinis apparently, with different character goods appearing for limited periods. I managed to fill up two sheets! I know thats a lot of cake but some of it was from sandwiches and Ben was eating stuff to. 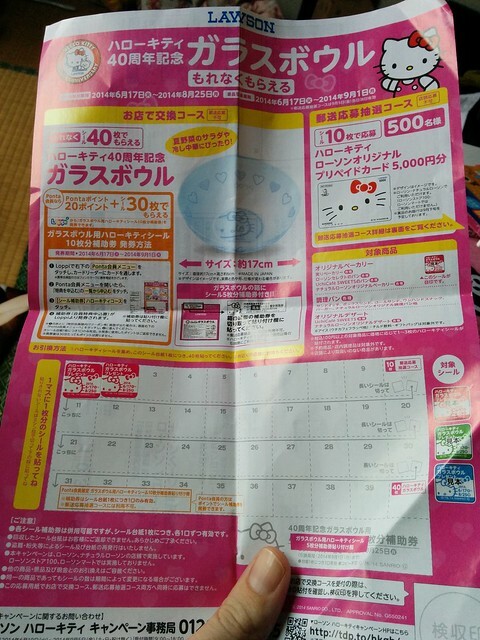 In the picture below, the first line in Japanese tells you that you have from March 1st to June 9th to collect stickers, and then until the 16th of June to claim your bowl. We didn’t know at the time, but later worked out that the white bowl was limited to only 20 customers per shop, from a certain date. The ‘Ponta’ refers to a points card, just like Tesco or Boots back in the UK. When we went to claim the bowls in the shop, the lady behind the counter just went off in Japanese. We’re learning a lot, but not fluent! We were able to understand that you couldn’t get them there, but we weren’t sure if that meant you had to send the form off of they had just sold out at that shop, so we tried another. 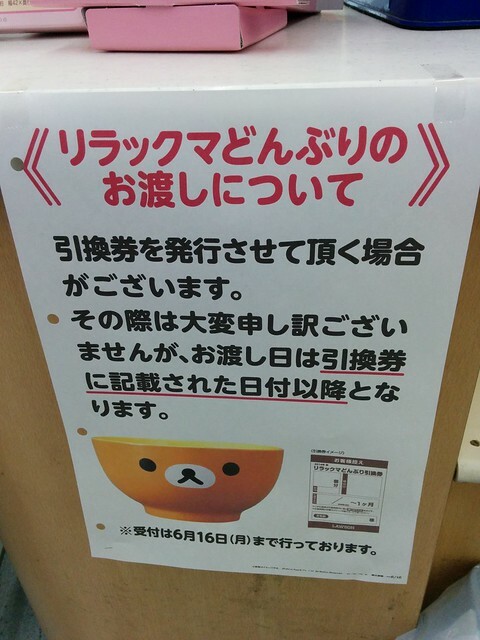 The sign basically said due to popular demand please get a ticket from the counter and that more stock was due in. 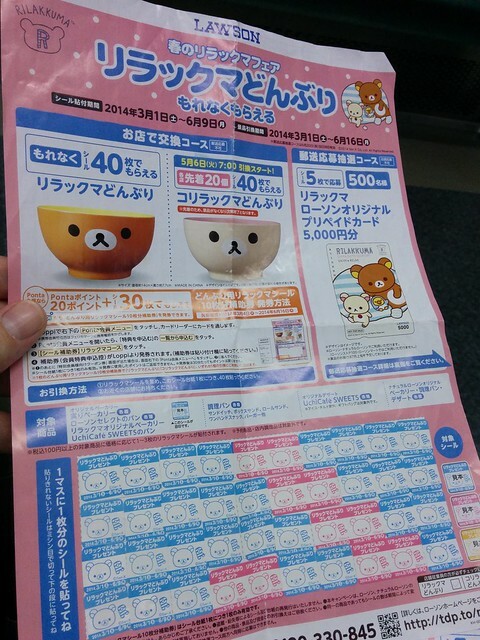 So off to Lawson again (there are plenty of them around, it’s not like we had to go into Tokyo every time) and we handed in the two stickers sheets and received a receipt. 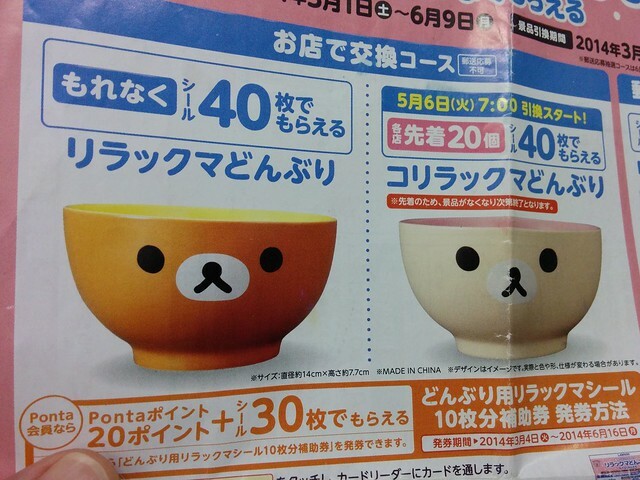 Talking to the shop assistant we were able to understand that on the 27th June they would have the bowls in store. 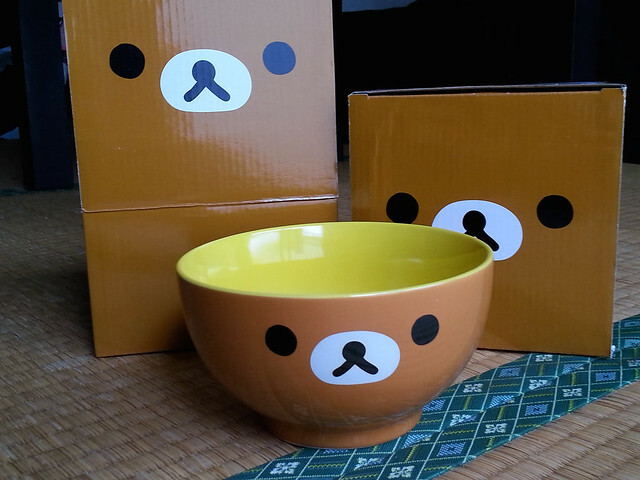 Today I went to pick up the bowls, which was really easy. I just handed in my ticket and got the bowls handed to me. The quality of the bowls is much better than you would expect for a freebie. They look and feel like something you would pay out for in a shop, and they make the kitchen look a lot cuter! So the next time you’re in Japan, keep an eye out for collectible items, and let us know in the comments what you might hope to find in a conbini.